NoGoMo - I'm Farshad Saffari Ghandehari! 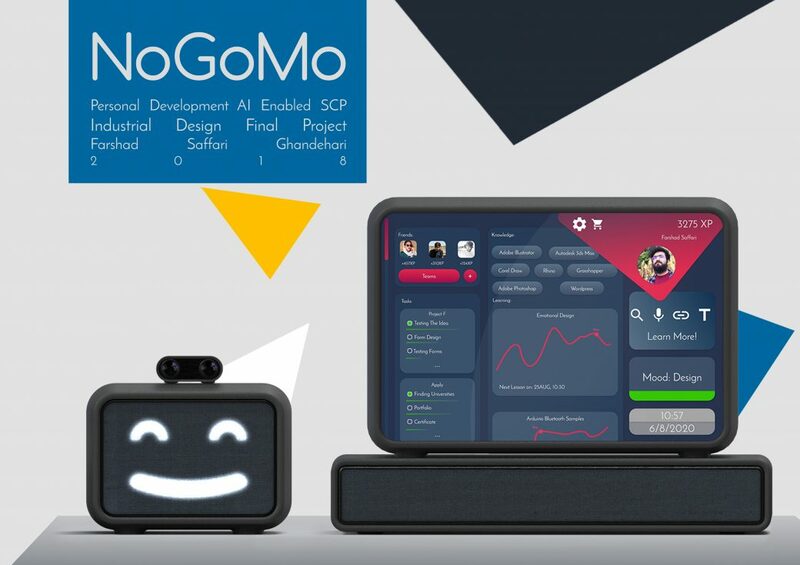 NoGoMo is a personal development, artificial intelligence-enabled, smart connected product. It is designed after various iterations. It is designed with a focus on Art University of Isfahan, design students. About 40 different students participated in participatory design sessions, interviews, brain type tests and voted for the best ideas. NoGoMo can help its users through 3 different main methods. NoGoMo is an acronym made of three words; knowledge, goal, and mood. These are the keywords, which represent our findings through interviews, questioners, and participatory design. NoGoMo has 3 main parts, a screen, a camera, and a device that the user interacts with in different ways, which we call him “Wuddy”. 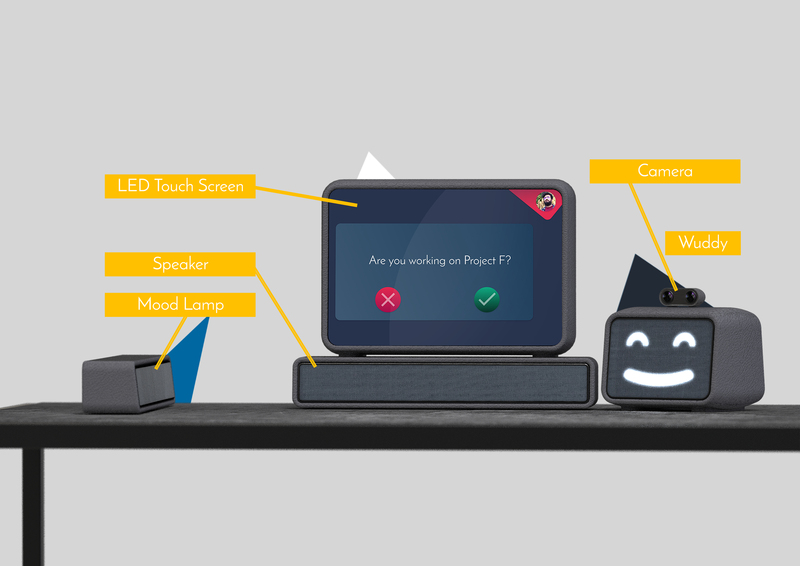 NoGoMo also has 2 optional parts, a speaker and a mood light. Therefore I have started my process, with understanding myself and discovering the important events of my life. I have used a book by Tim Clack named “Business Model You” to help me through finding real me. After this, I have continued on my way, by analyzing my previous designs. I had described my designs with words this helped me to extract my spirit of design through the years. I have drawn a chart of my weaknesses and my strengths, I could help me to find out what personal abilities I want to use in this project and which I want to develop. After these steps, I found out there are six different fields I am interested in the most. I started to give general ideas about each of them, I rated them and I had chosen my theme for design. Designing a Smart Product for Human’s Everyday Life Betterment. I started the design process by doing research on the main topics which could relate to my project, Hedonomics, Affective Design, Emotional Design, Interaction Design, Experience Design, Smart Products and more. The following step was understanding my users. Choosing the persona and end user was a little challenging. 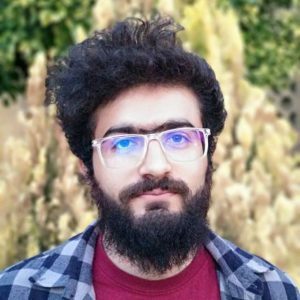 But as I reviewed my past designs I found out I always would like to solve problems of the closest people to me, therefore this time I had chosen the community of design students of the Art University of Isfahan, as I have seen many difficulties and sadness in their everyday life as students. Making questioners and giving them to the users was the first step to get to know them. But the results could not satisfy me. So the next step was asking them to give me a brief of their everyday life for a week with. I had designed cards which they could feel them in. It made me closer to my goal but it was not still enough. 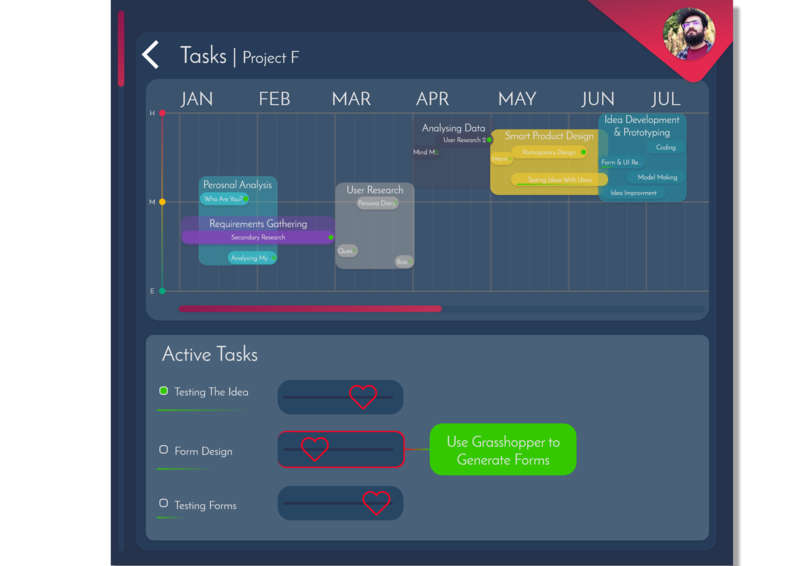 Finally, I found a Brain-type Test, which is developed by a team which designed “Evo Planner”. It divides people into 4 main brain types: Alchemists, Oracles, Explorers and Architects. I gave this test to 30 different design students from the Art University of Isfahan. And the results were interesting, 9 Alchemists, 9 Oracles, 9 Explorers and just 3 Architects. With these results, I have decided to work on all three main groups of brain-type in the university. Then I had interview sessions with my participants. I had half structured, interviews, I had main questions and it was driven by the user to find out more about their everyday life. Interviews data has been divided into 3 sections, personality and favorites, needs, and concerns. Based on my abilities and the things I wanted to learn, I decided to do the design phase as Participatory Design session. It was almost like driving a team of designers too, because all of the users and participants were designers too. There were 15 different participators in design sessions which every session about at least 8 designers had participated. 7 sessions of design have been done. At first, we had chosen the most important needs from our point of view for three users of each brain-type. In questioners, users specified the products and things they love and emotionally they are connected with. We categorized them according to users’ brain types and described them with words, to understand what the main reasons for choosing an object are and also being in an emotional connection with them. In design sessions, I have tried to make participants familiar with important design concepts which were related to my project. I had presentations about, experience design, affective design and smart products. We used sticky notes to write down general ideas about each user needs. Ideas were general and without details to let us develop them much better in future when we wanted to follow smart product design guidelines. After giving 3 to 8 ideas about each user needs which means we had about 45 ideas, participants in interviews and questioners and design sessions voted for their own brain-type ideas. After all 9 ideas have been chosen. Then we developed those general ideas with more details and we had followed smart product design guidelines for each idea. In the end, I have mixed those ideas into two main ideas which could answer to different needs of different brain types. Guguls and NoGoMo. Guguls are a bunch of little robots which interact with the user. Each robot has a different persona and brain-type, which can help users in different situations. After all, I have explained these two ideas to the users and they have voted for their desired product. And they have evaluated them according to what we found out about their expectations for a good product. Finally, NoGoMo won the fight. Now it was the time to develop the idea once more and bring what users said about the product into it and also refine its UI and form. Again users voted and selected the final form and UI. We wanted to build the closest prototype to reality. We have used Arduino and Raspberry Pi. Arduino Used for physical interactions with Wuddy. Mycroft AI is an open source personal assistant which is available for Raspberry Pi, and it also could help us in near future in we be able to mass product NoGoMo, according to Mycroft AI’s Abilities. So, Raspberry Pi is used for Mycroft. In the end, we had an almost perfect Wuddy. We could talk to him, caressing him, shake him and more, and all of them could make a feedback from him, from answers to questions and changing the light colours. UI is prototyped on Adobe XD and presented on a Surface Pro as NoGoMo’s screen.